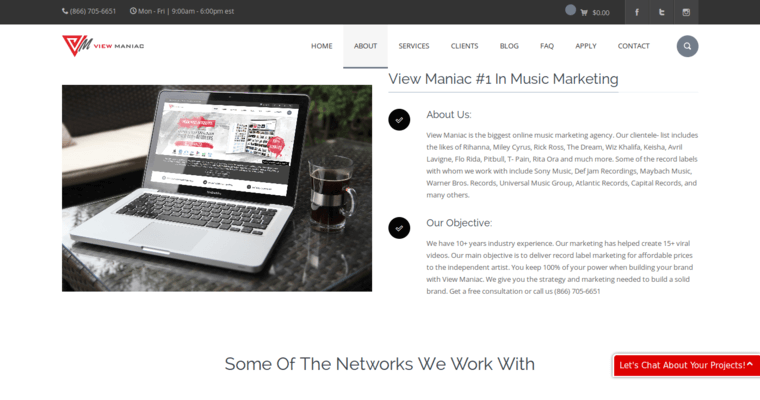 View Maniac is a Public Relations firm specializing in providing promotional services to the music industry. The firm provides a number of services to musical artists including Public Relations, Social Media, Design Services and additional Promotional Services. 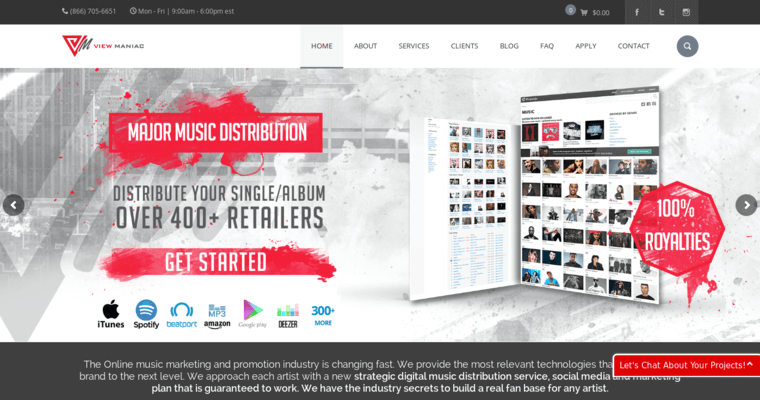 View Maniac also offers a unique fan acquisition targeting platform that it licenses to major record labels such as Dej Jam Records. With over a decade of experience, View Maniac has been responsible for 15 viral music videos and have been a part of 10 Platinum projects. Among the artists who have worked with View Maniac include Nicki Minaj, Rita Ora, Trey Songz, Tinashe & More. 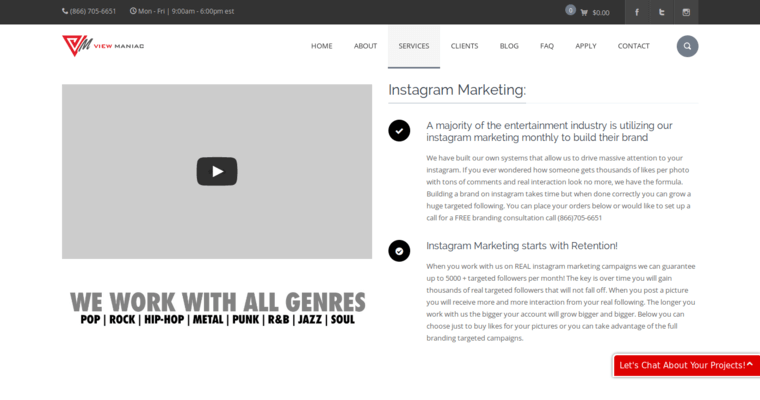 The firm has also be voted the 1# Music Marketing Agency from 2015-2017. View Maniac has been featured in XXL Magazine, Rolling Stone Magazine, The Source and Complex.